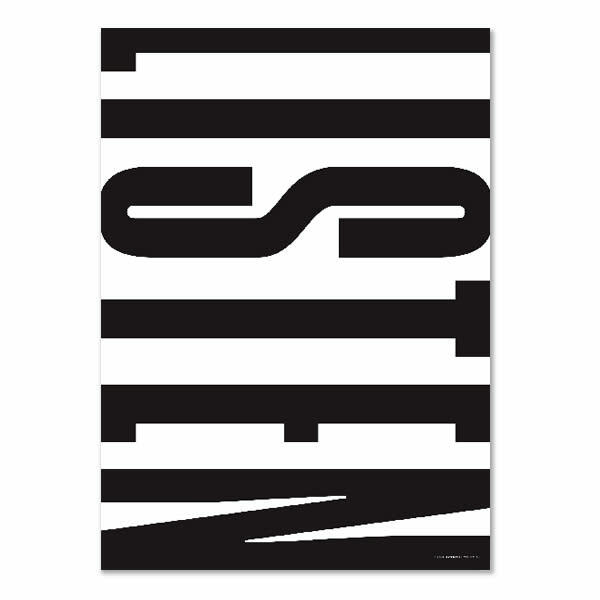 The LISTEN poster is from our SECOND THOUGHTS collection. Stop and try to listen. You might discover something new in your life.